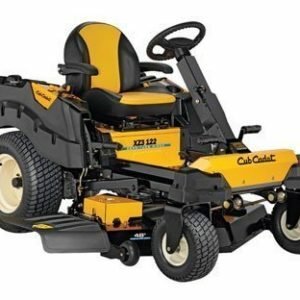 The Cub Cadet XZ2 127 has a steering wheel so it’s easy to operate and control. The XZ2 127 delivers true zero-turn manoeuvrability with steering wheel control over all four wheels you get unmatched stability on steep and diverse terrain – and anywhere else. The advanced cutting system with optimal airflow, blade overlap and floating deck delivers a consistent, flawless, high-quality cut. The dedicated dual hydrostatic rear-wheel transmission delivers effortless zero-turn control, synchronized with the steering to reduce turf damage which means that you can expect superior performance and an enviable lawn. Cutting Width: 127cm / 50"